Brooklyn’s Laolu Senbanjo brought his practice of a sacred Yoruba ritual to the main screen. Last night, Beyoncé premiered her hour-long special LEMONADE on HBO, which was a visual journey throughout her latest album of the same name. In the monochrome section entitled Apathy, Beyoncé's background dancers are seen wearing intricate white body paint while riding in a metal bus and moving to the album's fourth track, "Sorry." 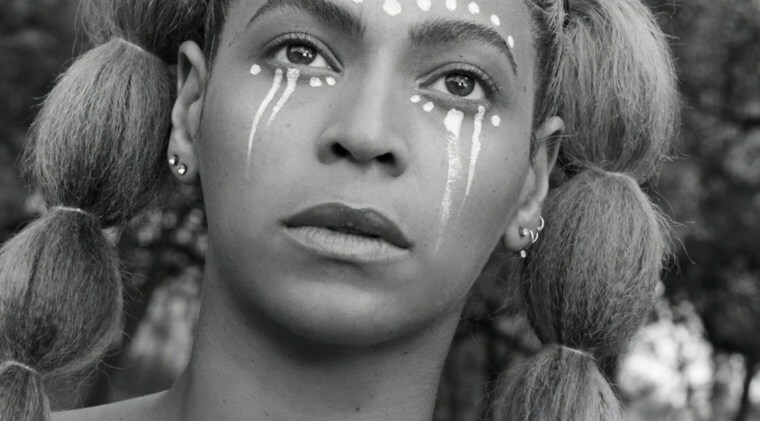 Later on in the film, Beyoncé is also seen with a small amount of body art; white dots have been delicately placed above the curve of her eyebrows and dragged from her lower eyelid to her cheeks. The artist behind these ornate designs is Nigerian-born, Brooklyn-bred Laolu Senbanjo, who mononymously goes by Laolu. Laolu will sit down with a model, which he calls his "muse," for hours in order to meticulously adorn her body with geometric, swirling patterns. He calls his body painting artworks Sacred Art of the Ori, noting that the origin of this practice derives from a spiritual Yoruba ritual. "In my language, Yoruba 'Ori' literally means your essence, your soul, your destiny," Laolu explains in his artist statement. "When I work with a muse, the muse, their Ori, and I become one. It's the deepest, most spiritual experience I've ever had with my art as an artist." View more of Laolu's work on his website.